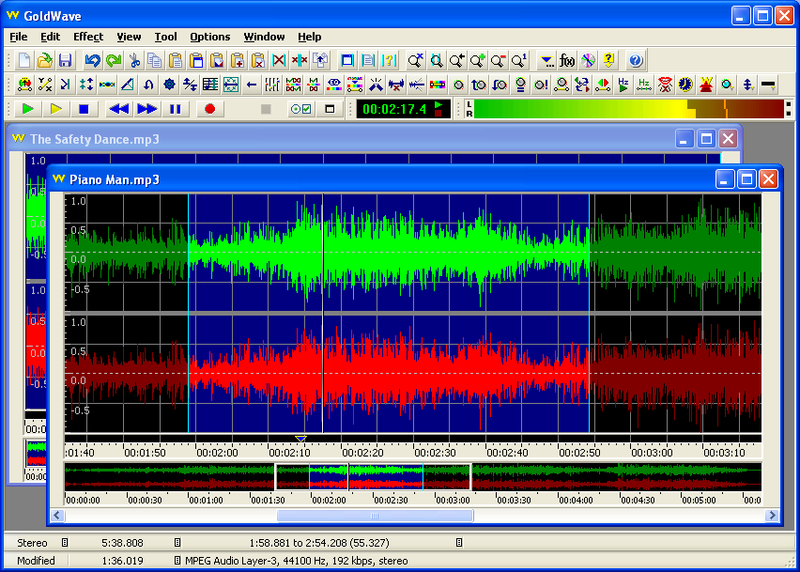 GoldWave is a comprehensive digital audio editor. GoldWave can: Play, edit, mix, and analyze audio; Apply special effects, such as fade, equalizer, doppler, mechanize, echo, reverse, and more; Digitally remaster and restore old recordings with noise reduction and pop/click filters; Record audio from cassettes, records, radio, etc. 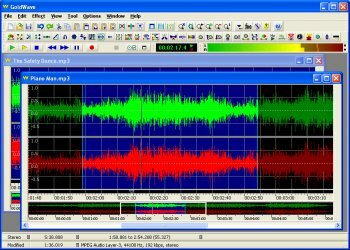 through your computer's line-in; Make digital copies of audio CD tracks using the CD audio extraction tool; View a variety of real-time graphs and VU meters; Convert files to/from different formats, such as wav, mp3, ogg, aiff, au, vox and even raw binary data. Simply the best editor, period. Been using it for years and it's always "just worked". Amazing software. Small and loaded on features. Love it! fast and easy to use. Good Buy. An excellent piece of software that is well worth the money. Audacity cannot do the sophisticated cue editing, mixing and effects that this audio editor manages effortlessly. Very good tool, but for most things I can use the freeware Audacity, which is looking nice since 1.2. With CoolEdit 2000 absorbed into the evil clutches of Adobe, this is truly the best game in town. Versatile, bug-free (in a way that Cool Edit 2000 never was), full-featured and inexpensive - I can't say enough good things about it. I've been using Goldwave for 3 years now and 5.0 does not disappoint. For a beta it works great on my operating system (Windows XP Pro). I have yet to explore all the new features but am impressed up to now. This software is not expensive compared to others (Cool Edit and Soundprobe). I have SP1 installed on my system and not experiencing the problem mentioned by another user. The next beta will be out in the middle of February. Hope it continues to impress! Goldwave 4.26 ran on my system just fine. 5.00 beta tells me my version of Windows (XP Pro SP1) "does not support IEEE floating point audio format. Goldwave cannot play or record audio."